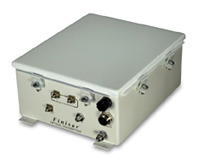 Finisar provides high performance, end-to-end fiber optic links that natively transport radio frequency (RF) signals. Analog microwave signals can be carried over long distances due to fiber’s low insertion loss. Find variety of New Outdoor Enclosures from our Online Inventory Network. We provide various range of outdoor enclosures in different material as per clients requirements, Find all makes & ratings of Outdoor Enclosures. Inventory Liquidation discount available for non moving products, Subject to availability. We provide Customized Weatherproof outdoor/indoor panel/enclousers in S.S., M.S, G.I., ALUMINIUM E.T.C..
we also make Outdoor Enclosures using high quality of standard raw material & fabricated on high precision CNC machines at very competitive cost only as per customer requirement. used in various application as Small Telecom Towers, Battery Mounting Racks & other assorted applications. 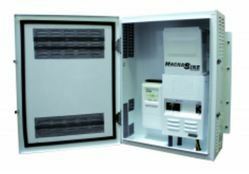 We are the manufacturer and supplier of Outdoor Battery Enclosure. Bestnet Outdoor Enclosure is a general purpose enclosure designed to maximise life in service and built for industrial or demanding environments. They are manufactured from 1.2 / 1.6mm thick zinc coated steel to minimise corrosion. Banking on the skills of our qualified team of professionals, we are involved in providing Outdoor Enclosure. There are basically 2 types of outdoor enclosures: Single Door and Double Door. Enriched by our vast industrial experience in this business, we are involved in offering an enormous quality range of Outdoor Telecom Enclosure.